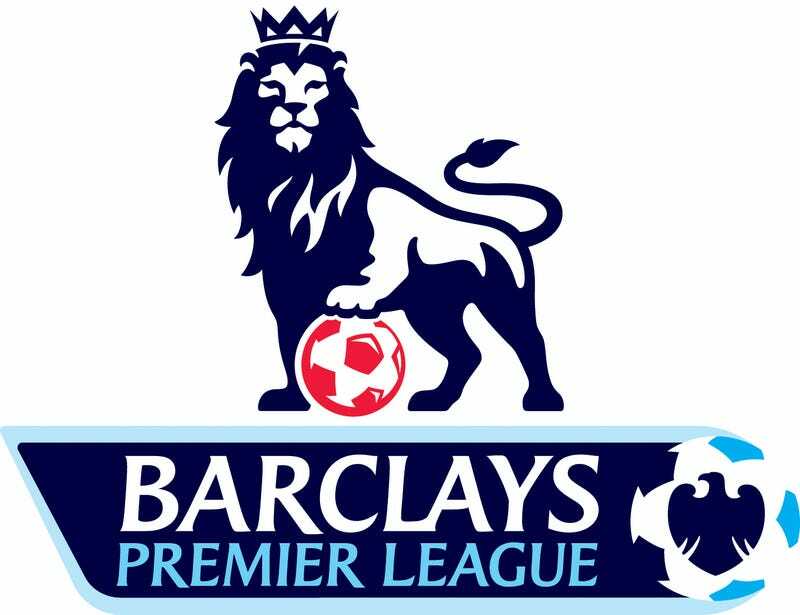 380 Games, 947goals so far, 20 teams, 3 relegated downwards and 1 champion, this is the Barclay Premier League. The greatest football league is just about to finish (as of writing) and it’s time for us to reflect on some of the amazing moments and attempt clairvoyance on the future of certain clubs. What a season it has been, with controversy, miracles and sprinkled in with some outrageous goals. Statistics that leave football fans bewildered and pundits repeating them like my iPod stuck on replay. I’ll be discussing only some of the events that for me were totally astonishing and then reading tea leaves as my instrument of foretelling the future. I’ll attempt to write this as colourful as possible, so even if you do not enjoy the sport or care for the Barclay Premier League (which both baffles me) I want it to be accessible, fun and enjoyable for you reading now and that we can marvel together at how history was written in the season of 14/15. Where to even start with this season? I’ll start with Southampton. When nearly everyone bar the die-hard fans camped outside St Mary Stadium have casted their stone predicting a season of moans and groans, filled with stories of what-ifs? Fatten out with a season with despair and negativity. Who wouldn’t after the mass exodus of some of their hottest talents after last season? We all saw the inevitable, the gossip, the news and whisper of hungry predatory rivals poaching the young bright players only to be proven correct as the day roll over by and the huge money being spilled over. Horror stories like these are the materials used in those fantasy tales we read or watch. The young promising chevalier lured and tricked by his own green and lust for money by wealthier and prominent families or aristocrats. The hardened veteran paladin painfully yet mutually leaving his lord to return to his homeland, a dream to fulfil yet bears a scar to his heart at the reality on his return. Romantic as they were, only bore ill omens for their original masters, what is the Merry Men without their Robin Hood? A bunch of lost and foolish men displaced in a forest. It all seemed bleak, as we were all waiting for the executioner blade to bring us sweet mercy. Yet that was not the story Southampton wanted to tell, rising from the ashes of the transfer window and swan diving into the role as one of the pace setters in the race of glory. Playing attractive football, competent defending and heroic displays from players who had to step up to the plate to fill in the gaps left by their former compatriots. How was it possible? Simply put we must applaud the master mind Ronald Koeman and his casting choice for the wonderful play we witnessed in the theatre we call football. You saw the very core essence of his team early on, the life he brought in his players and the determination and discipline he instilled throughout each of his players, from the starting line-up to the reserves waiting to prove their worth to the director. You can tell they believed in him, trusted him and in return they gave him their everything to secure every win, every point and every clean sheet. The statistic were then reeled off one after the other, one of the best defended team in Europe, conceding the least amount of goals throughout Europe while all the time defying everyone’s expectation of them. Auditioned as an expendables extra, casted as a major character. What a season, when you thought they lost everything and only for them to claim everything that’s rightfully not theirs. Sure their season might end a little sour as the major forces fulfil their respective duties with no real upset, but it won’t be a season Southampton fans will forget, nor I. When the song “You belong with me” somehow rings true to what happen with the man “Alan Pardew”, you know something crazy is kind of happening. A witch hunt was on display as the relationship between Alan and Newcastle fans were being strained more and more after every poor result. When Alan does produce something of positive note there is always something to criticize, not even the most demanding Asian parent were as brutal as the Newcastle fans. “1-0 win at home? You’re at St James, we expect nothing less than 4-0 thumping Alan!” Yet how could he do more when he had his hands tied by the owner of the club that is Mike Ashley, the invisible pantomime villain as Alan takes the flak and the eventual fall. While calamity falls upon Newcastle, 300 miles down south similar situation appeared at Crystal Palace as Selhurst Park exiled one of their own. What so special? It so happens that Alan use to even play for Selhurst Park in his younger days when he still had a spring in his step (granted he’s still capable of head butting professional footballers of today). The right conditions have been met, the correct ingredients have been collected and it was good news for all parties included. Newcastle wanted to rid Alan of their sacred ground, Crystal Palace wanted an old partner from once before and Alan didn’t need asking twice. Chemistry was there to be had and what a reaction we got. Sparks were sent flying enough to light up the whole town, a happy, smiling, laughing Pardew was a rare sight those days yet with this new arrangement it became a tourist hot spot every weekend. When I say every party benefited greatly from this new deal, as with all romantic stories. Someone always get hurt and it’s always the one who’s left with no one. Newcastle didn’t know who they were losing at the time and since Alan left them, they’ve been a wreck. Lost and without purpose, staring a pit of darkness and defeats. Newcastle were willing to latched on to anyone who would take them, yet no one wanted to be associated with the wrecking ball and alas as with all desperate measures always comes with desperate solutions. The best friend known as John Carver got paired up with a broken and heartless Newcastle. It’s a sad sight, John doing everything he can to make Newcastle happy but it just won’t work, it’s a hard sight to see knowing that Newcastle use to be a great club to watch and someone we were all proud to know. Seeing Newcastle like this is rough. Rougher still that they face eviction from the big brother house (Barclay Primier League) as their current form suggests that their not good enough anymore and just a shell of a football club. Blame Mike Ashley, blame the players, blame who ever now, but blaming won’t change the fact that Newcastle are now worse off without Alan. While over Selhurst Park, its fiesta time! Carnivals every weekend and drinks on the house. Alan Pardew became the core and catalyst to the team and club. Everyone banded together after a gloomy blight in Selhurst Park and with it brings the celebration and commitment to a brighter future. So much that they became one of the best performing teams in the Europe as well for a spell. Bring the stats, compare the teams and witness the train leave for Hogwarts as it was just a magical sight to see this place revived. Sealing their future with safety and the removing the fear of tumbling back down the division was as simple as repeating supercalifragilisticexpialidocious for Alan. What sweetens this story even further is that it won’t be remembered as a betrayal of Newcastle for either side of fans but the return of a great hero for all ears to be sung to. Who would have imagined it? Heart breaking and tear jerking stuff right there. Lastly I want to talk about Chelsea. Speaking of reunions, you couldn’t do better with Chelsea and Josè Mourinho. You know sometimes when you break up with someone and then begin to wonder what if you got back together. The same happens with Man Utd and Cristiano Ronaldo ALL THE TIME. It’s no different with Chelsea and Josè Mourinho. You believe that it will work, that both parties are better people, the situation is different and you can forgive past actions. It’s the fairy tale for Chelsea fans to have the self-proclaimed “Chosen One” back. It took 3 season to show what Josè can really do if permitted. As a fan of the Barclay Priemier League fan, I also attest to this good feeling Josè brings to the English game. The charm, personality and beautiful analogies he brings in his conference, the energy, exuberance and euphoria he delivers in the technical area and pitch. One of the greatest managers in the game today in a love affair with the club he adores is just the most alluring cocktails to have. Josè even predicted that it would be this season he would be able to win it after his “racing horse” analogy he used in an interview. You can’t fault the man when all he does is win, win and win. You can’t help but respect how he can grind out the win. You can’t even take your eyes off when you how his team perform. It helps when you also have arguably the best player in the league in the shape of Eden Hazard. Though the whole team is also due credit for their part in winning the title, able to stamp their authority in any game and seal the win in any manner of form. They’ll shut you out and leave you in the cold if it has to be done to achieve what is needed. They can break you down and tear you to pieces if that what is required. They’ll stretch you out and squeeze out the result needed if that what it takes. This is a winning mentality, a champion’s mentality. They also show that a legacy at Chelsea is ready to form with the youth of the squad and it’s scary to think how strong that team can become in the years to come. Nothing but praise is all I offer to Josè and his Chelsea team. That’s enough about certain teams and their achievements; let’s talk about the future of the league within English borders. The summer transfer window! One of the biggest stories is that what will happen to Raheem Sterling. What is happening? Is he a man with no honour? Is he attempting to escape from a sinking ship? Or simply being wrongly influenced by his surroundings? Whatever the reason is, it all points to him leaving Liverpool. He won’t sign on a new contract and commit his future and it’s simple as that. Why does a young man want to leave a competitive club which can allow him to grow and flourish as a player? Rather a strange occurrence in the world of football, where young players like him only dream of having a regular call up to the first team. It’s a unique state of affairs between the two parties that it’s rather hard to comprehend or relate with. Without knowing the cause of this motion makes it hard for us to understand and even accept it. Raheem keeps sending mix signals, saying he doesn’t want money, he wants titles, he says he’s good enough to win trophies yet on recent display he doesn’t show any result with his words. He’s not winning any fans over either at Liverpool, as the fans grow discontent with his attitude so no love will be lost if he decides to leave. What we can be certain of is that as long as this ticking bomb isn’t dissolved in any manner, we can expect an explosion of accusations, empty statements and rumoured transfer sums of millions of pounds. Let’s change it up with talks about who could possibly be joining us. Jurgen Klopp. He’s stated that he will leave his club at the end of his season regardless of results and looks forward to a new job in the new season; preferably in a country which he can speak the language. It just so happens that he speaks German and English. With many disappointed performances from demanding clubs, you can’t help but toy the idea that one of the best young coach in the game could be plying his craft in the English game. It would only bring more prestige to the name of the League and further enforce that this is the best league to play football. He’s a wanted man and we can only speculate who can capture his attention as he is one of the dynamic and vibrant characters both on and off the pitch. What could he bring? Who would suit him the most? Jurgen Klopp could tailor you a bespoke suit at a reasonable price but with the Saville Row quality. All he would demand in return is that you have to trust what he is doing and believe that it will work. Buy into his philosophy and it will bring fruition. Personally it’s hard to see Jurgen Klopp at a club with a similar bank vault as Harry Potter which for me I would rule out those big clubs. Lastly let’s discuss the last team that could join the grace of these elite teams, Norwich and Middlesbrough. It’s a league worth joining with a supposed £120 million windfall for whoever wins their playoff. Norwich would love to bounce back to the a league they feel they deserve to be in, while Middlesbrough have been in exile from the promised lands for a few years and also believe they deserve a chance back at the top flight. Norwich still field a very similar squad that they used back in the Premier League meaning they still have the quality and depth to be able to compete with the very best. While Middlesbrough have done extraordinarily well to be where they are with some good football considering their recent past performances in the league few seasons ago with staving off relegation. It generally agreed that both teams do not want to spend another season in the Championship after coming so close, knocking on heaven’s door after arduous task. Norwich sadly slipping up at the end and losing out on the automatic promotion on the last stretch and then having to beat back bitter derby scum that is Ipswich during the semi-finals. Middlesbrough even more sore after leading the division for a period of time only to fall down and get caught up with the pack, losing their footing and opportunity to stay as league leaders. My faith stays strong with Norwich and I believe we will come back. Thanks for reading, if you’ve got this far and I know football isn’t the most popular of topic around here, but with the flurry of articles on football to fill the drought that is soon to come in the summer. I thought I’d join in and have a little fun and express my own opinion too! If you want more, just say the word, but otherwise it’s been a fun little venture!